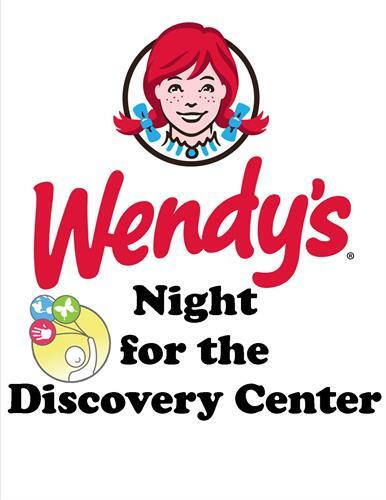 Wendy’s Restaurant Fundraising Night is every 3rd Monday from 5 to 7 p.m. Stop over to support the Discovery Center with a nice family meal. Whether you dine in, drive through, or get carry-out, you’ll be helping your local children’s museum. Wendy’s graciously donates 10% of everything sold.